As Borealis’ Sustainability Manager since 2012, Dorothea plays an important role in delivering the Group’s sustainability agenda. Much of her work in recent years has focused on supporting two of the United Nations Sustainable Development Goals: SDG 6 – Clean Water and Sanitation, and SDG 14 – Life Below Water. Dorothea was the key driver and creator of Project STOP, a pioneering initiative established by Borealis and SYSTEMIQ to stop plastics leaking into the environment. STOP partners with cities and governments to build effective and more circular waste management systems, increasing resource efficiency and providing socio-economic benefits for local communities. The initiative has attracted considerable interest and support in just a short period of time After the start of the first city project in Muncar, Indonesia in April 2018, STOP is now ready for further scale-up to more cities. For the past ten years, Dorothea has also managed Water for the World, a joint sustainability initiative between Borealis and Borouge, which aims to meet three water and sanitation challenges: improving access to safer water, preserving water resources and advancing sustainable water practices. Since its launch, Water for the World has helped more than 800,000 people. Dorothea was a board member of WSUP (Water and Sanitation for the Urban Poor) in 2014 and 2015. WSUP helps to transform cities, to benefit the millions who lack access to water and sanitation. From 2012 to 2015, she chaired the WBCSD Water Programme, steering the development of the WBCSD WASH Pledge. In addition, Dorothea currently chairs the PlasticsEurope Marine Litter Working Group, which is driving the Marine Litter Prevention engagement of the European Plastics Producers. She is also co-chair of the Advocacy and Communications Working Group of PCEP (Polyolefin Circular Economy Platform), a multi-stakeholder platform with the mission to advance the circular economy of Polyolefin by increasing reuse and recycling. 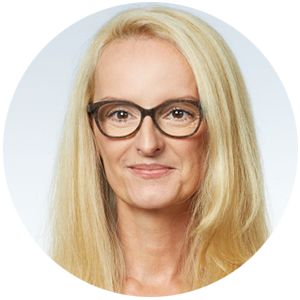 Dorothea studied Marketing and Sales at the University of Vienna, Austria. Earlier in her career she worked for a number of international companies, including Philips M.V. and Telekom Austria. She joined Borealis in 2007 as its Communications Manager.